What do I know about plumbing? Not much, but I know how to investigate. We cleaned the filter, but that didn’t seem like it was bad enough to be the problem. 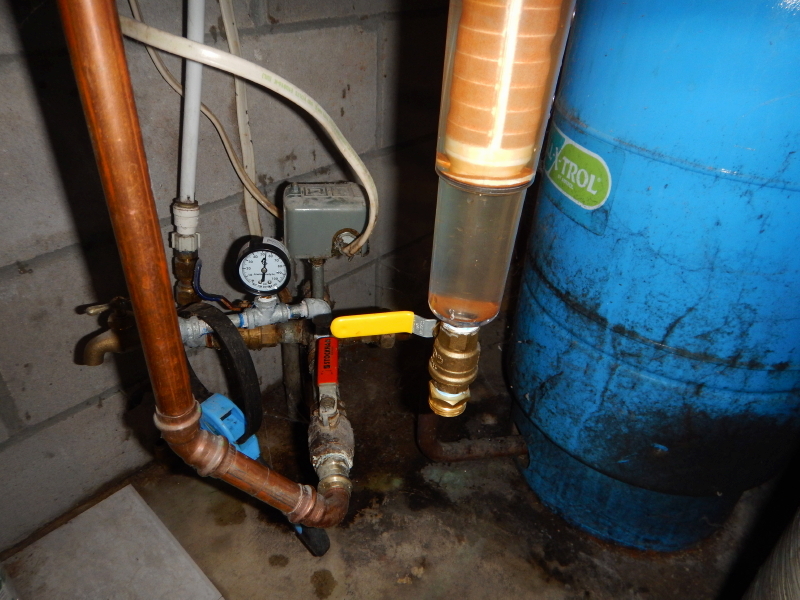 I could see the pressure gauge reading confirmed Cyndie’s assessment of no water pressure. Next question was the electric control. I removed a screw and pulled the panel off. Bingo! The capacitor had blown its top. Um, now what? Who ya gonna call? I asked Google. The first hit in the area was a well drilling contractor in River Falls that was listed as being open 24 hours. I don’t know how they can be open 24 hours, but I called and left my phone number and a brief message. I received a return call within about five minutes. A half an hour later, the control panel was replaced, a new pressure gauge installed, and water pressure was back to normal.